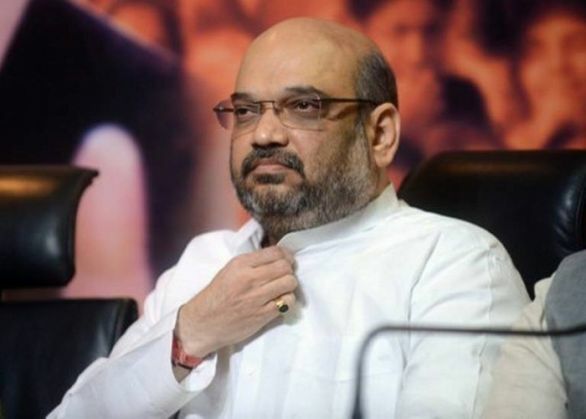 Home » national news » Amit Shah asks Rahul Gandhi: Do you support anti-India slogans? Bharatiya Janata Party (BJP) chief Amit Shah on Wednesday, 24 February asked Congress vice president Rahul Gandhi to clarify whether he supports anti-national slogans in name of freedom of speech. "There is a debate going in Parliament that whether anti-national slogans are freedom of speech or not. I want to ask these parties and the Congress, Congress vice president, if they support raising of anti-national slogans in name of freedom of speech? Shah said while addressing a rally in Bahraich. Shah further asked that the people who said 'Bharat tere tukre honge', is that freedom of speech or an act of sedition? The BJP president added that all parties should make it clear if they support the slogans that were raised inside JNU, if not, then they should condemn it. Earlier today, Rahul Gandhi said that he will raise the JNU issue in parliament, but the government will not let him speak as they are scared of what he will say. Speaking to the media, Rahul said, "the government said they are open to a discussion but they will not let me speak in the Parliament".